This month it was Valentine’s Day, in May it will be Easter, in June it will be Eid. Every product manager will rush to their agency at the eleventh hour to try and create buzz around their brands, forcing themselves upon the occasion. Call me a skeptic, but the reason I wanted to keep this issue as a question is because some brands are really working hard and are forcefully connecting themselves with one-off events such as Valentine’s Day. Before I further go in details of who should not get into this event. Let’s understand the significance of this event from Consumer’s perspective and peak in his life (general). Before I elaborate on which brands should and which shouldn’t let us try to understand the significance of this event from the consumer’s perspective and peak in his or her life. 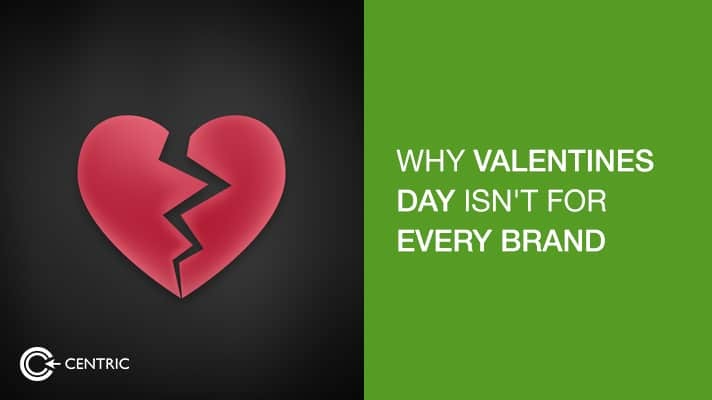 In the mind of the consumer, Valentine’s Day is a day where they can be open about their feelings with the ones they like. Consumers consider this day as a day when “other” person won’t say ‘no’ to them or at least will not say ‘no’ in public and will also accept the 800Flower gift. The brands they experience the most are flowers, chocolates, and gifts, which can vary from a dress to accessory, a gadget, watches and so on and so forth; depends on a) upon the creativity of a person and b) upon their pocket size. Another aspect of valentines includes dining for a couple that is the “second last” most important thing before concluding it a day! That can be done at a favorite place of one of the couple to ensure that the night is memorable. If you look at it closely from an advertiser’s point of view, you will see a niche of brand categories that can participate in this event and be close to their TA. Even then, we see other brands trying really hard to be part of this day and through “creative ways” (in my opinion, forced creativity). I am sure by now I will have a lot of creative minds as my enemies but I am not denying their creativity but trying to make Client’s understand that not every event is for them! I googled the same question and to my surprise, I was unable to find a single person saying this to their Client and then I went to a couple of groups related to advertising and asked this question there and the response was quite interesting. One senior marketing manager responded; “Major financial institutes especially those who are sharia compliant (Islamic banking)”, which I completely agree with and her point make sense too. Some people highlighted some CPG products like cleaners, repellents, and brands more catering to health and personal hygiene and said that these brands are also an exception which can let go of Valentine’s Day celebration and move on. Also, a lot of people said that brands can be creative and connect with consumers at that day. I know it’s cute and it has that “aww” factor but Hey! Aren’t we all very clear that the day is celebrated between couples? For me, it was cute but it was really forced ad! This Ad didn’t lose the essence but until the end, most of people thought it was a milk ad and were surprised to know it wasn’t. I am sure with a bit more research we can find a lot of ads align in the same direction and trying to follow the trend but as advertising professionals, isn’t this our job to highlight that this may not be your day for your brand? With this thought, I am hoping for some discussion on this topic further where we can sit and identify which brands should focus on their respective events and which brands should avoid some major events just because those events are not for them.